My brother Don loved to laugh. From an early age Don always seemed to find something funny about various aspects of life. And not only did he love to laugh, but he also loved watching or making others laugh. His nine year old niece, Anna Kate, said to him in a special card, “You’re the funniest man I know.” Many others thought the same. When Don was in the room, laughter abounded. He could cheer up the disheartened with a humorous story or a talented impression of one of the many “characters” he sometimes became. At his job with Atmos Energy, Don regularly brought smiles to the faces of his co-workers. One declared that the workplace would never be the same after Don’s death. They felt blessed to share an office with such a genuinely caring man who could in a moment’s notice generate resounding laughter throughout the building. Shortly after his death, an abundance of his comical stories were re-told by many who knew him. Those stories, in a minor way, will continue to contribute to his legacy. One of Don’s favorite pastimes was talking to telemarketers. If he was in the room when one called, Don immediately stated, “Give me the phone.” Before or in the middle of the unsuspecting salesperson’s pre-rehearsed pitch, Don would start to ask a wide array of questions. The first often dealt with the location of the caller as well as the weather in the caller’s city. Don had somewhat of a “down home” knack for engaging the party on the other end of the line in what was no more than trivial banter. Still Don would continue the conversation for as long as the telemarketer would comply. One question that Don loved to pose was, “Are the fish biting up your way?” If the caller took the bait, Don would talk fishing for as long as his new found friend would accommodate him. As the conversation sometimes lingered, the rest of our family sat laughing in the background at his ability to converse with the caller as if they had known each other for years. And occasionally Don would even get someone who wanted to talk about fishing. Eventually, the caller would get around to the reason for the call. When the product or service was finally mentioned, Don would assault the caller with a battery of questions, many which had no relevance whatsoever to the aforementioned product. Probably Don’s favorite telemarketing firm was the AAA Auto Company. Don would tell the person on the line that he currently didn’t own a car, but that he was saving to buy one. He would then add that he did have a cart and a couple of mules. His next question was if AAA could offer assistance if he had a problem with one of the mules while traveling around. One poor girl actually put him on hold for a minute while she checked with her superior. Even though after a while it had to be a certainty that the caller realized that my brother was only having a little fun with them, I imagine that some probably related the story of the call to fellow telemarketers in their office and hopefully laughed when doing so. When the caller became frustrated or tired of Don’s unrelated questions, Don usually just kindly stated that he was not interested in what the person was selling, that is if the caller had not already hung up on my brother. I don’t ever remember Don being outright rude to the person on the other end of the line. Whether the call lasted for five seconds or five minutes, Don maintained what could be considered a pleasant demeanor throughout the conversation. Don also enjoyed laughing at the antics of characters on various TV sitcoms. One of his all-time favorites was Barney Fife of The Andy Griffith Show. Don could recall specific lines of Barney’s and bring laughter to anyone in the room when he shared them. Just as Don Knotts had entertained with laughter his audiences over the years, Don Stephens entertained his audiences as well. The only difference was that our Don’s audiences were his family, friends, and co-workers. In more recent years Don became a huge Seinfeld fan. I still remember him calling me one night to ask if I had seen the episode where Kramer re-constructs the Merv Griffin set in his apartment. I had missed the show that evening, so Don carefully re-told the plot to me. When I finally did see the episode, I remembered our phone call. The conversation with my brother made the viewing of the show even more enjoyable. Even though we had seen every Seinfeld numerous times, we still laughed any time we enjoyed a show together, even after Don’s diagnosis. Don could also laugh at himself. In early April of 2011, about a month before Don found out that he had ALS, we visited my daughter, Rachel, in New York. Along with Linda and Lisa, we spent an entire Saturday walking throughout the city. 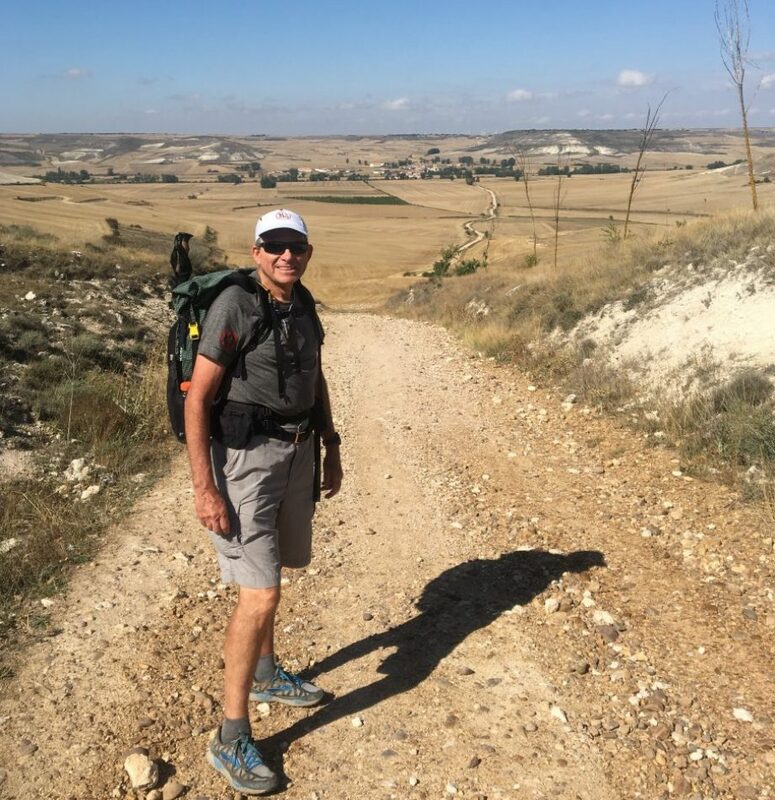 Despite having legs that had begun to fatigue easily, Don often pointed out sites that to all of us were amusing. We took many photos over those four days which showed my brother laughing. 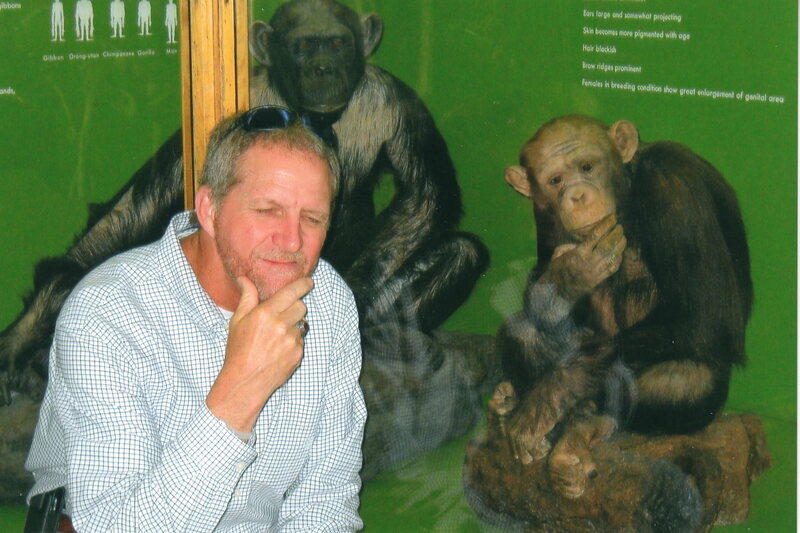 In the Museum of Natural History, he wanted his picture taken posing next to a primate exhibit. It is one that I will always cherish. Laughter can be addictive and it can also be therapeutic. For those who spent time with Don throughout his life, and especially during that last year, I think it was both. We laughed along with him then, just as we still laugh when thinking about some of his antics that are still fresh in our memories today. Those who have the ability to make others laugh are a blessing to all who know them. My brother was that type of man. Even though Don is no longer with us, his laugher still is. His family and friends will always think of him as we remember the smile on his face and the resounding laughter in his voice. Because Don loved to laugh, all those who had the opportunity to share that laughter have been given a special memory to cling to from now on. And as we certainly all know, Don would want us to still be laughing.